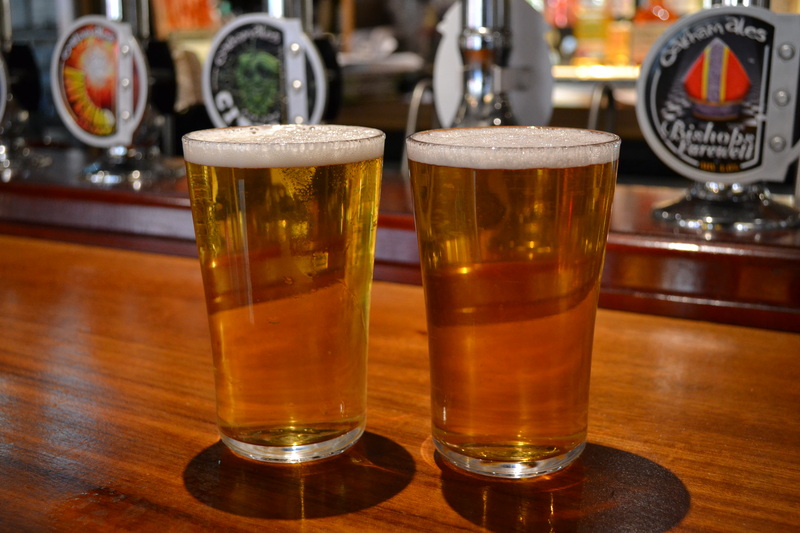 From little acorns… the unstoppable rise of Oakham Ales | It Comes In Pints? According to CAMRA, there are now 52 breweries in London compared to 44 last year and 23 the year before that. With so much beer being brewed in the capital right now, we’re spoilt for choice, and sometimes it’s easy to overlook the exciting stuff happening elsewhere across our fair land. So ICIP is delighted to meet with Oakham Ales, an innovative brewery from Cambridgeshire, to remind us that there is much, much more to discover beyond the mysterious force field of the M25. But the brewery is still hugely popular on its home turf in the UK, managing to walk the tightrope between traditional ale fans and the more recent beer geek boomers. 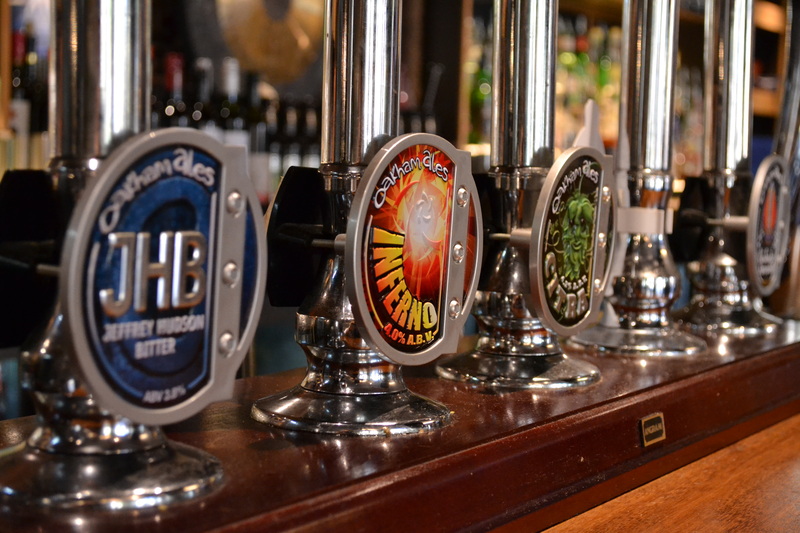 It’s rare to find a brewery showing up in Greene King pubs and winning awards at CAMRA’s GBBF but also on offer at a pump takeover at The Craft Beer Co.
“For people like me, having those two or three extra beers draws people in. People look forward to them,” Darren agrees. 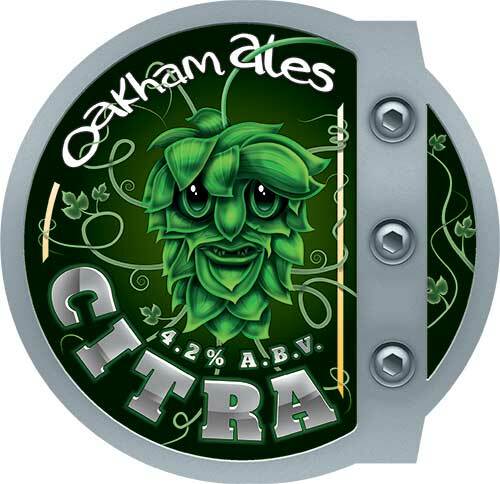 We are yet to touch on Oakham’s frontrunner… Citra. Unless you’ve been living under a rock for the last few years, it’s highly unlikely that you wouldn’t recognise the cheeky little anthropomorphized hop flower grinning out from the Oakham Ales Citra label. Two-time Gold winner of the International Beer Challenge, this fruity, hoppy 4.2% APA has taken the beer world by storm. Demonstrating its wide appeal, Bottled Citra is sold in Waitrose and Tesco supermarkets, as well as a variation of the recipe (at a slightly more potent 4.9%) being available in Marks and Spencer where it is rebranded under the store’s own label. “I think at the moment we have 12 available, I think at Chelmsford Beer Festival three weeks ago we had 15 on,” recalls Nick. We’re shocked – is it difficult to juggle producing that many beers? “It’s not as difficult as it would appear because six of them would be aged beers which can be brewed, put in a cold room and then released any time we want,” he explains. “So we’ve got the five core beers brewed at least weekly, then the Oakademy beers every month, the seasonal beers every quarter, then four quarterly specials – they’re supposed to run on to each other but they don’t because they keep selling out! – and then the aged and vintaged.” We’re tantalised by the sound of Oakham’s vintage range. “The aged beers can sit in the cold room for one, two, three years… they just develop another level,” says Nick. “I’ve had 3 year old Atilla (7.5%) that tasted absolutely fantastic,” reminisces Nigel. Not content with producing a range of popular and delicious beers, the brewery also partakes in a spot of beer and food pairing. When you think of sitting down to a Thai, Chinese or Japanese meal, what drink do you immediately associate with it? A bitter green tea? The fruity acidity of sake? Perhaps a cold lager-style beer like Chang or Asahi? How about a pint of ale? Not too sure? Think again. 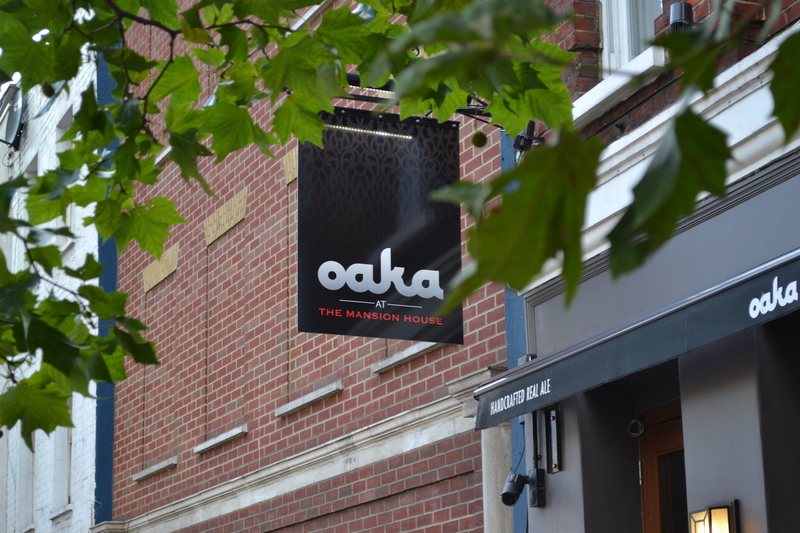 The Oaka Group – a sister company to Oakham Ales – operates five venues uniquely specialising in pairing their beers with contemporary dishes from the Far East. The brainchild of founders Patcharee Shaweewan and Paul Hook, the chain features three venues in Peterborough, one in Birmingham, and, as of 2013, one in London. On ICIP’s first visit to Pan-Asian restaurant Oaka, we were initially bemused at the sight of hand pumps on the bar, but were quickly converted. Heavily favouring the citrussy, piney zing of American hops, Oakham Ales’ range is an excellent match for the oriental menu. The bitter, hoppy ales cut through hotter, chilli-based dishes, but the freshness of those US hops also complement the invigorating Asian flavours of lemongrass, coriander, lime and ginger. This successful blend of east and west is a characteristically individual move by a brand who excel in pushing the envelope. With wide-reaching appeal and a good eye for development, Oakham’s growth looks set to continue. They’ve recently acquired a wine division (Bellwether), and began producing a cider in conjunction with Hogan’s last year (Oaple, 5.8% and made with apples from ICIP’s friends at Stocks Farm!). Earlier this week, Citra walked away with two awards at GBBF (Gold in the Golden Ale category and Silver in the Supreme Champion competition), proving its popularity with real ale drinkers. With the success of Green Devil on keg, they will only admit to “looking at” something in the lager or black IPA line, but whatever they come up with, we will certainly look forward to it with high expectations. This entry was posted in Interviews and tagged Beer, citra, oaka, oaka group, oakham, oakham ales, oakham citra, peterborough, real ale on 13/08/2014 by icipints.